The blog post comes as employees raise questions about Microsoft's defense work and as the company bids for a big Pentagon cloud-computing contract. Microsoft strongly defended its work with the U.S. military Friday, addressing a topic that has caused an employee backlash throughout the tech industry this year. The blog comes as top tech companies, including Microsoft, compete for a big Pentagon cloud-computing contract, and months after Microsoft employees questioned the company’s work with another government agency, Immigration and Customs Enforcement (ICE). Smith acknowledged in his blog that not all Microsoft employees will agree with its work on defense projects. Employees who want to switch teams can apply for other open jobs within the company, he wrote. Microsoft has supplied technology to the military since its early years as a company, Smith noted. Microsoft also pledged to “engage as a company in the public dialogue” with the Defense Department and policymakers about ethical issues surrounding artificial intelligence, including autonomous weapons. 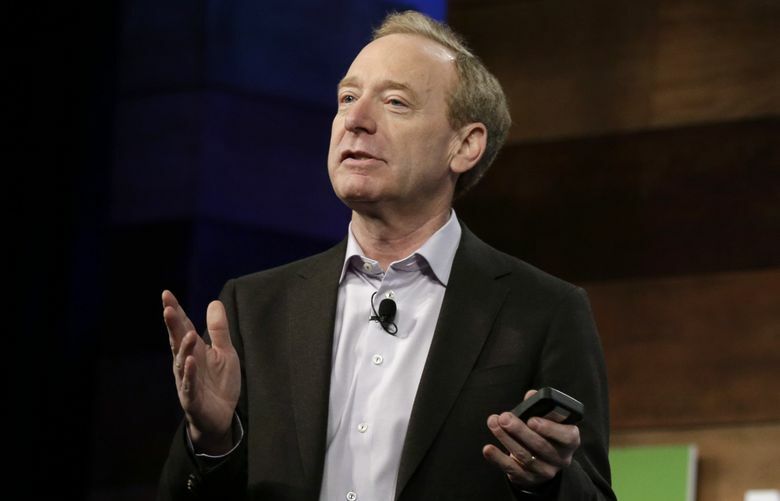 By working with the military and government, Microsoft can be more directly involved in these ethics conversations, Smith wrote. The company previously called for federal regulations for facial-recognition technology, as privacy concerns about the technology grow. The tech industry has faced a backlash from employees and civil-liberties groups in recent months over contracts with federal defense agencies, especially when they involve artificial intelligence and facial-recognition technology. Google employees expressed loud dissent over the company’s work with the Pentagon, which involved an AI technology to interpret video imagery that employees feared could one day fold into weapons. Google announced this summer it would not renew that contract with the Pentagon and decided this month not to compete for the Pentagon’s cloud-computing contract. Amazon and Microsoft are both vying for that contract, which does not seem to have faced pushback from employees. But internal furor grew against the two local tech giants this spring and early summer over their connections to ICE. Amazon has also faced criticism from employees and the American Civil Liberties Union over the marketing of its facial-recognition software, Rekognition, to lawenforcement agencies. The company pitched ICE on the technology, recently revealed documents show, though ICE said it doesn’t have a contract to buy Rekognition. Amazon CEO Jeff Bezos has also recently defended big tech companies’ work with the Pentagon.